Kangaroo Moon is a many headed marsupial these days! Recent gigs in Europe and Australia have featured different line-ups, Mark Robson (Didgeridoo, piano, synth, whistles, vocals and more) being the only constant, working with many different musicians. Kangaroo Moon weave many strands from world, rock, folk and dance, with acoustic and electronic influences into a funky, heart-lifting wall of sound. Richly melodic and dancey, listeners experience a sound which unites the body and soul in deep, joyful, elemental dance. Kangaroo Moon have their roots in the music people play and the music people dance to. They’ve played and danced their way through more than a few permutations of global sound. 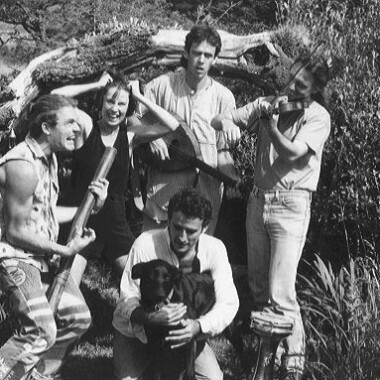 Well travelled, extensive touring in Australia and Europe, the band has played Glastonbury and WOMAD several times, as well as Phoenix, Guildford, Mistelbach (Austria), Sfinks (Belgium), Oerol (Netherlands), Maleny & the National Folk (Australia). The Band have recorded many albums since their roots in 1988, Mark, Matt, David Williams and Elliet Mackrell being the originators, the sound has grown with their experience, striving for originality in a business thriving with talent. Inspiring and evocative, the celtic-aboriginal /aussie roots meet in rhythm with the spiralling speeds of our millenial inheritance. The band are augmented on a less regular basis by a host of colourful characters. 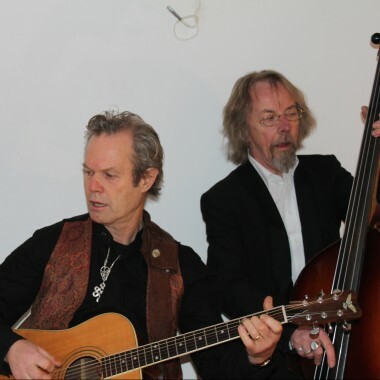 including Thom the World Poet, Tim Wheater ‘the mystic flute’, formerly of the Eurythmics, Fred Hood, former drummer of the Pretenders and now in Moodswings, along with Northumbrian pipes players, belly dancers, drummers and members of the audience. 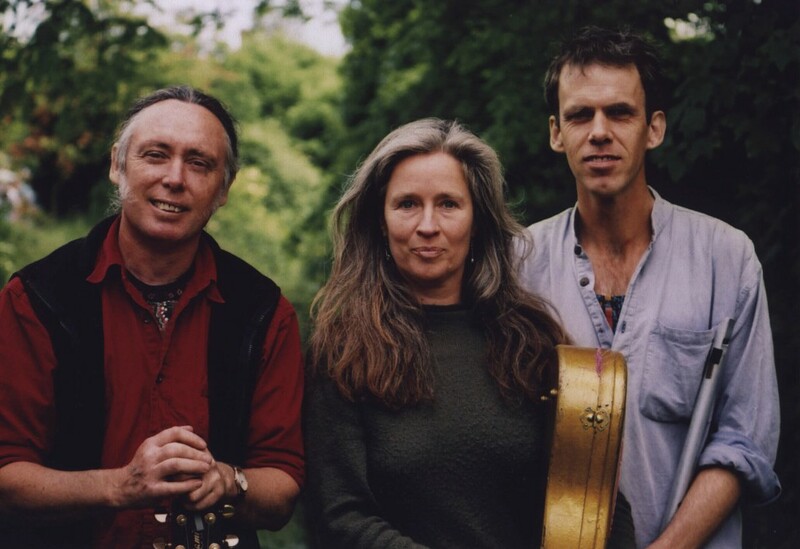 Apart from playing live and recording, Kangaroo Moon also spread their music through workshops that can be adapted to suit children, adults or a combination of both, introducing people to the inspiring effects of rhythm, movement and melody. Kangaroo Moon – nurtured in two cultures, two hemispheres, hopping from summer to summer across the planet, Europe to Australia, carried by a vision to play music for all the people everywhere, and to find the keys to the van. There are also smaller line ups of Kangaroo Moon, eg a duo: Kangaroo Half Moon. Elliet spent many years studying didg in the Australian outback the time-honoured way, perfecting the circular breathing technique so essential for didg playing. 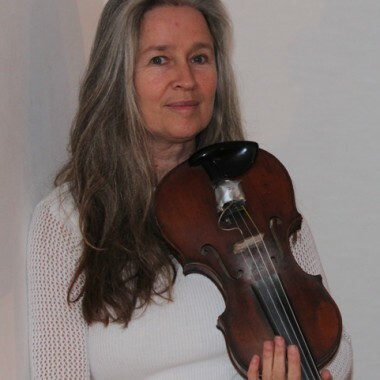 Classically trained on violin, she also performs folk-based music from Ireland, Europe etc, and was a founding member of Kangaroo Moon. She is also a member of the Polkaholics. At solo didgeridoo shows she can bring along a range of effects to enhance the raw sound of the didgeridoo.